by Charles Dickens Author · Frederick Busch Author of introduction, etc. 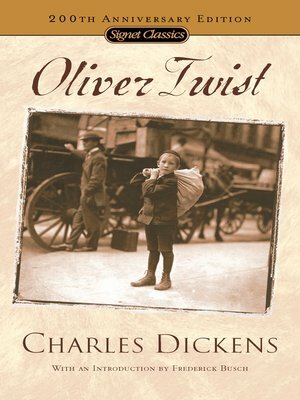 One of the great novelist's most popular works, Oliver Twist is also the purest distillation of Dickens's genius. This tale of the orphan who is reared in a workhouse and runs away to London is a novel of social protest, a morality tale, and a detective story. Oliver Twist presents some of the most sinister characters in Dickens: the master thief, Fagin; the leering Artful Dodger; the murderer, Bill Sikes...along with some of his most sentimental and comical characters. Only Dickens can give us nightmare and daydream together. According to George Orwell, "in Oliver Twist...Dickens attacked English institutions with a ferocity that has never since been approached. Yet he managed to do it without making himself hated, and, more than this, the very people he attacked have welcomed him so completely that he has become a national institution himself."